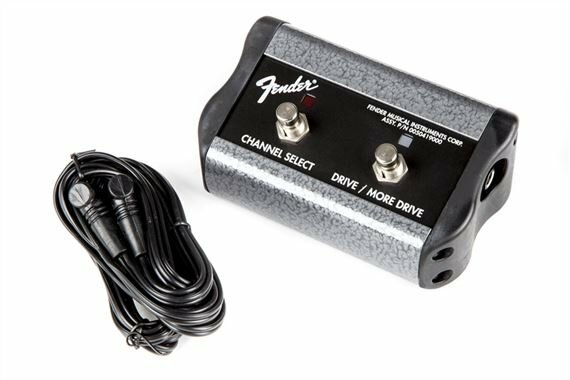 Shop Fender 2 Button Guitar Amp Footswitch from AMS and enjoy Fast & Free Shipping. The high-quality Fender 2 button footswitch features a 1/4 inch connector for use with contemporary Fender guitar amps. Use this footswitch for Channel or Boost (Drive/More Drive) selection. Good Price and a very durable item, keeps the job done and stays functional. My original foot switch stopped working, so i got this sucker. It works just great and is durable, very heavy duty feel. Just what the amp needed. I loved the amp already but the switch set it off.